Former Malaysian Prime Minister Najib Razak and his ex-treasury chief have been jointly charged with criminal breach of trust involving 6.64 billion ringgit ($1.6 billion). 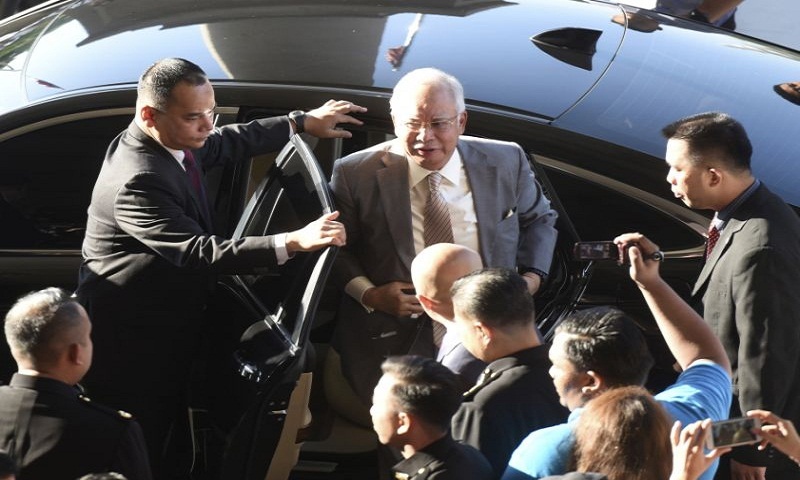 The six new charges against Najib on Thursday come on top of 32 earlier counts of corruption, breach of trust and money laundering that he face linked to the multibillion-dollar looting of the 1MDB state investment fund. That scandal led to his coalition’s shocking ouster in May’s national polls. Both Najib and former treasury secretary-general Mohamad Irwan Serigar Abdullah pleaded not guilty to misappropriating government funds between December 2016 and December 2017. The charge sheets said part of the money was subsidy for the poor and airport management budget but gave no further details. Local media reported the funds were used to pay 1MDB debts.